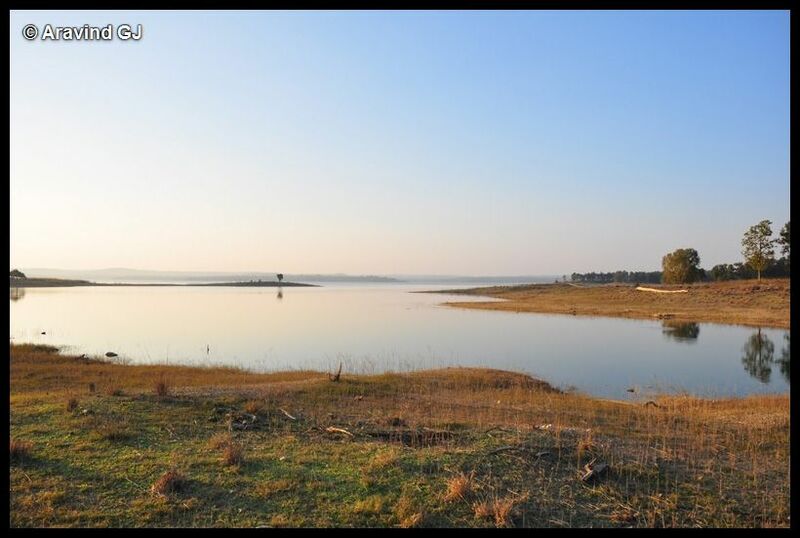 Pench is the one of the four national parks in Madhya Pradesh. Located in the Seoni district, it is about 90km from Nagpur on Nagpur – Jabalpur route. 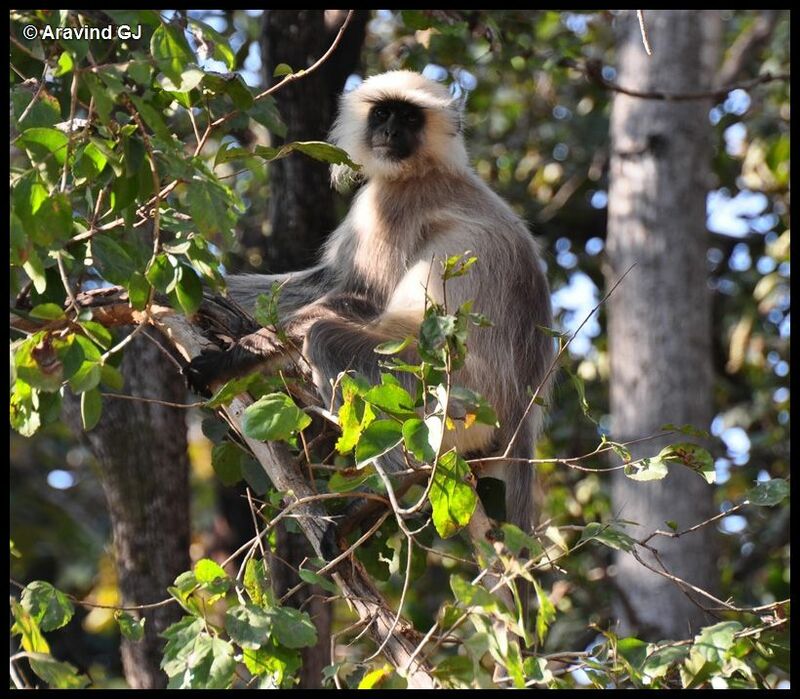 Rudyard Kipling’s famous novel “The Jungle Book” was written in the setting of Pench reserve. We had planned to reach Pench from Tadoba. A taxi was hired as there was no direct public transport available between those two places. The distance of about 270km was covered in 6 hours. The roads were good at most of the place. Crossing Nagpur city took a lot of time. Most of the journey is on NH-7 which is four lanes except for the stretch of 40km inside Pench reserve. My experience with MPTDC hotels was good last year. And hence without much thought I booked Kipling resort run by MPTDC. 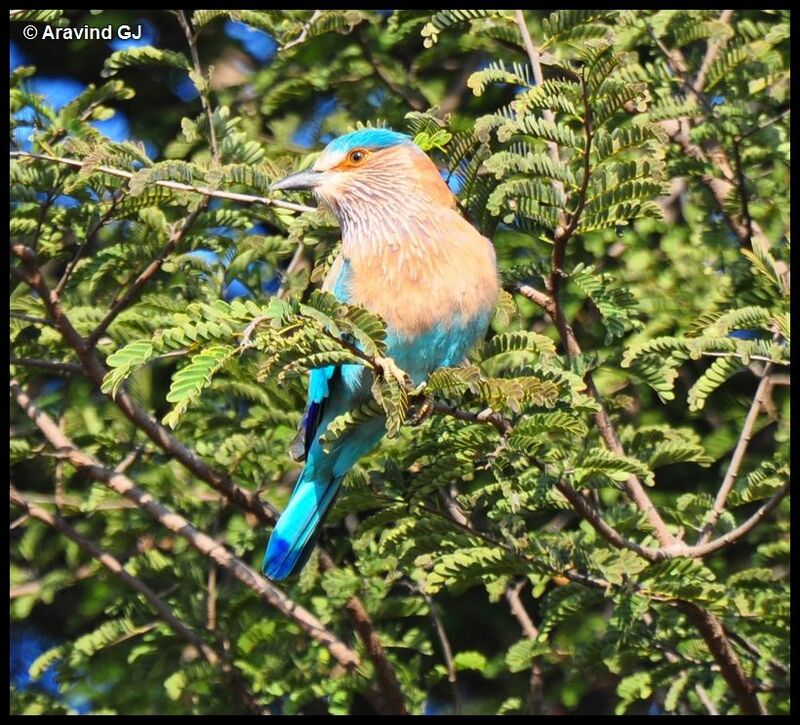 I shot few birds and butterflies in the resort itself. There are three entry gates for Safari in Pench. Turia gate is the most convenient one as it is located very near to the resorts while Jamtara and Karmajhari are located 80km away from Turia. It was here I came to know about the new rules and rates for Safari in MP. 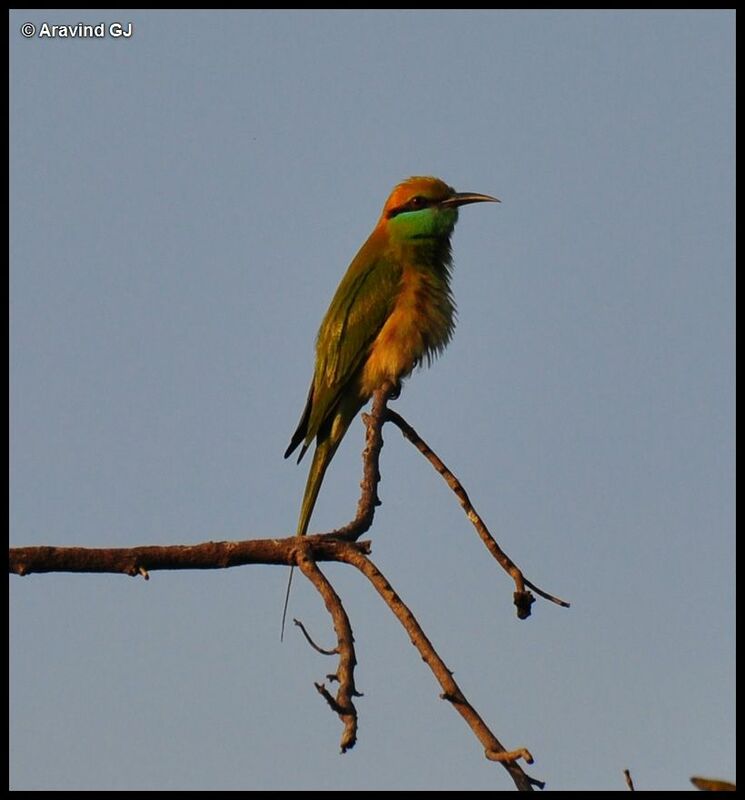 All safaris must be booked in advance using an online system (https://www.mponline.gov.in/Portal/Services/Forest/Search.aspx ). In general, it is a great system which avoids the struggle to stand in the line for safari early in the morning. The not so good part is that the list of persons added in the safari booking form could not be edited later. This is not a problem for big groups but for solo travelers and couple has to shell out lot of money for each safari. Recently, MP Government became greedy and doubled the rates for safari. It used to be extremely cold in the morning where the temperature drops to single digit. To get up and start for a Safari would require great passion in wildlife!! 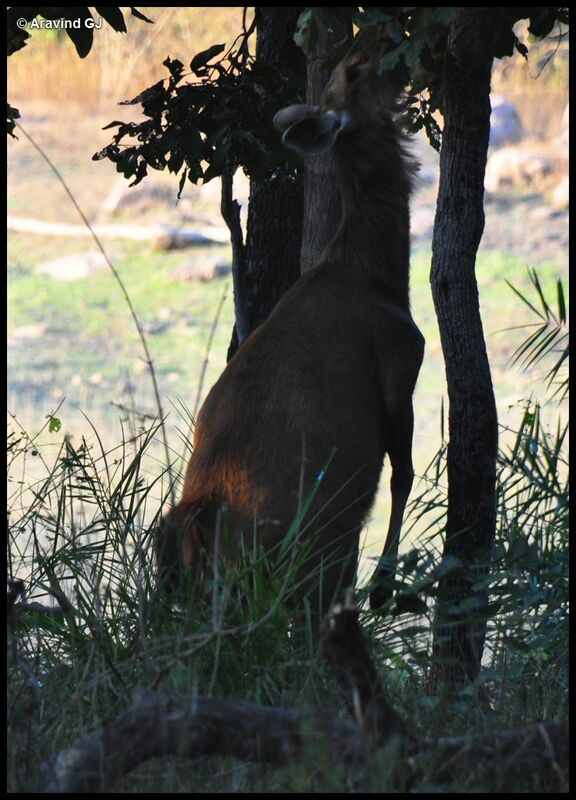 Pench seemed to be overfilled by herbivorous animals. Spotted deer was abundant and was seen in thousands!! 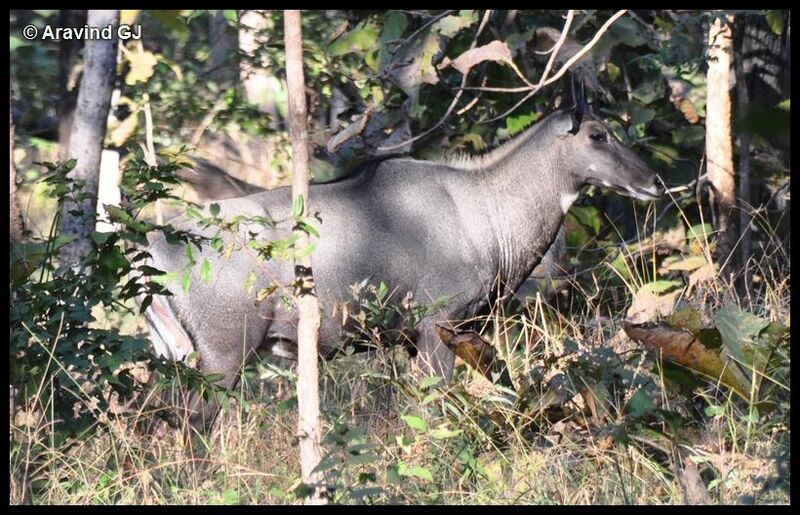 Here I shot my first photo of a Nilgai. 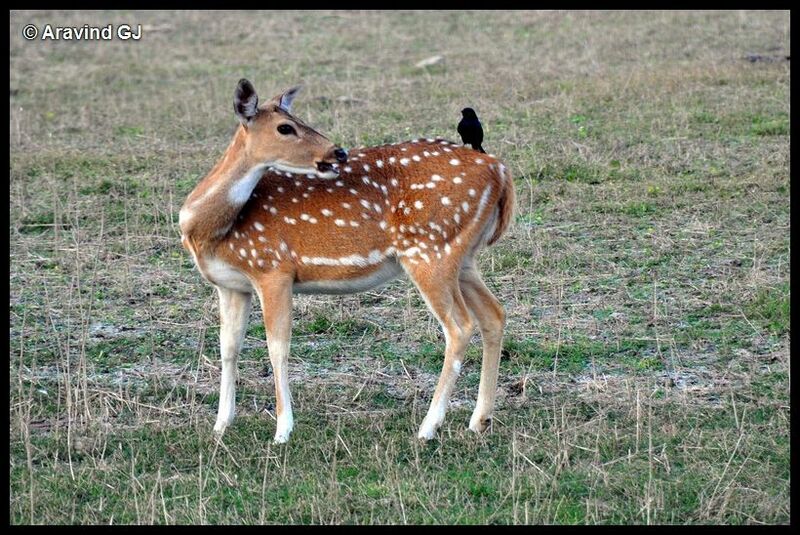 A common animal in North and Central India, it is not liked by farmers as it causes widespread damage to the crops. A deer “talking” with Drongo. Apparently, deer was not very happy about the Drongo sitting on it and tried to get rid of it. 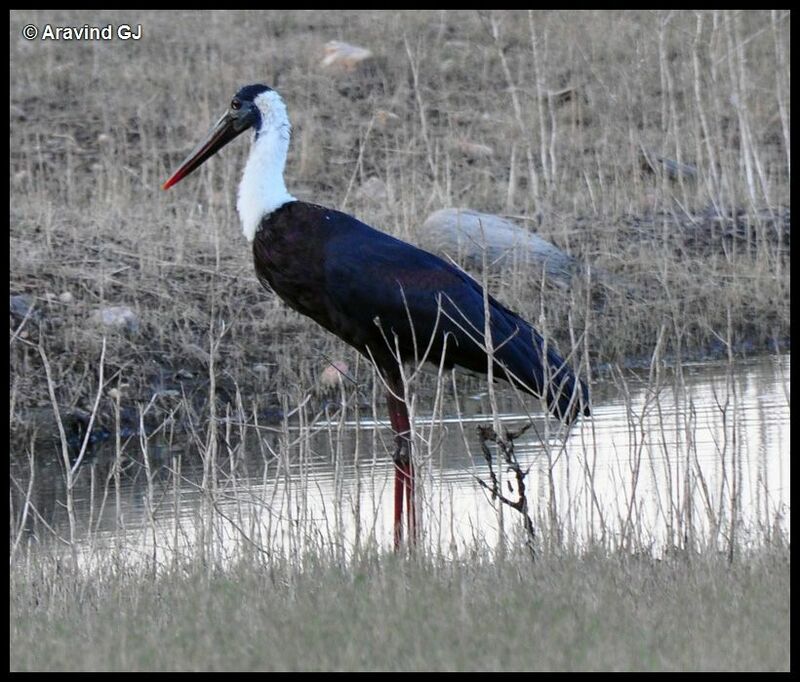 A white necked stork found near the backwaters of Pench River. Pench seemed to be stocked with wide variety of birds. The density of Tigers in Pench is very less and it needs extreme luck to spot felines. 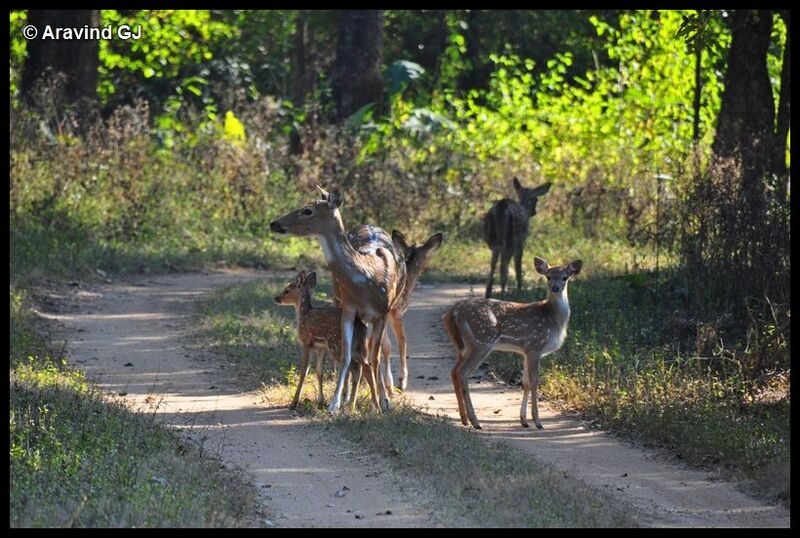 The beauty of Pench lies in experiencing the forest itself. 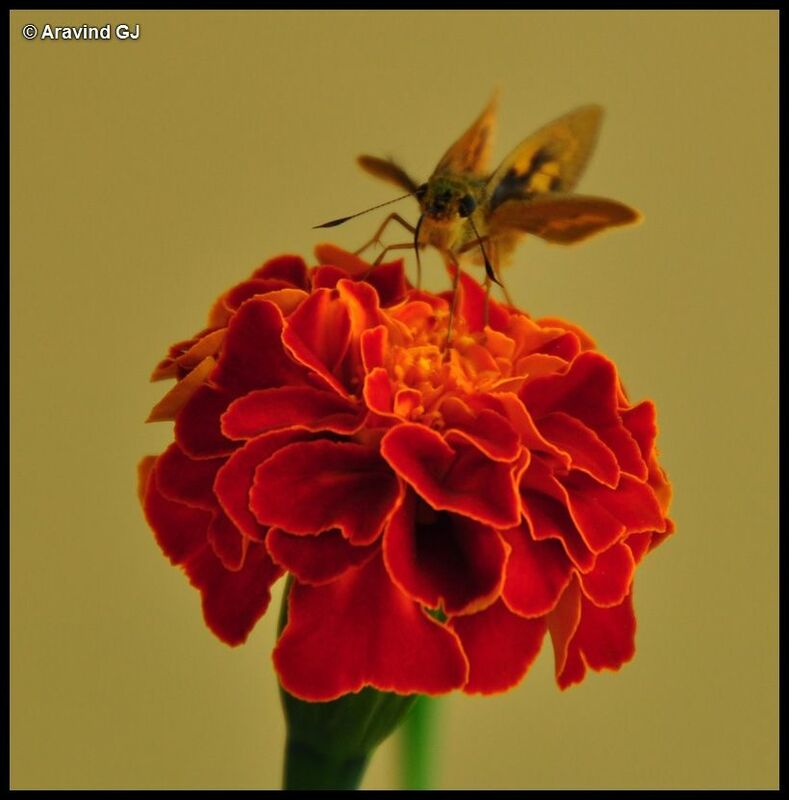 sigh….. nature is sooo beautiful, red flower, blue bird, owl and last pic was simply amazing. 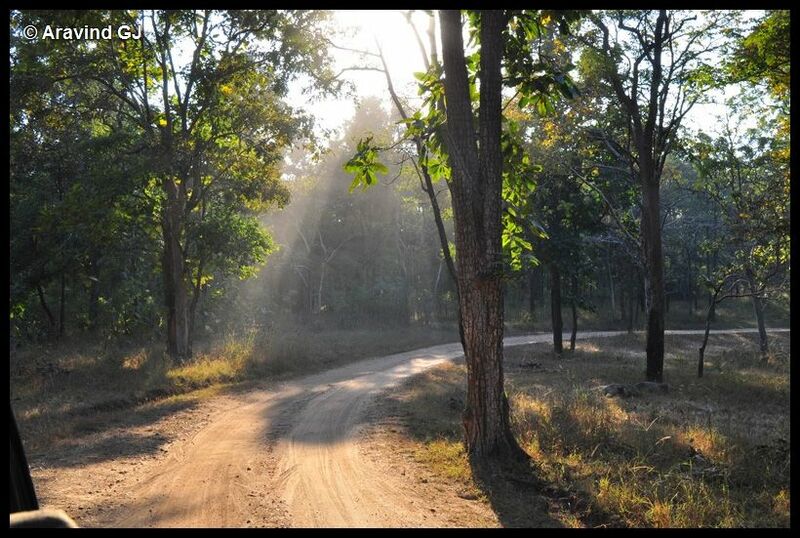 Your Tadoba and pench pics look brighter compared to the earlier ones. New Camera ? Yes. I brought Nikon D90 recently. 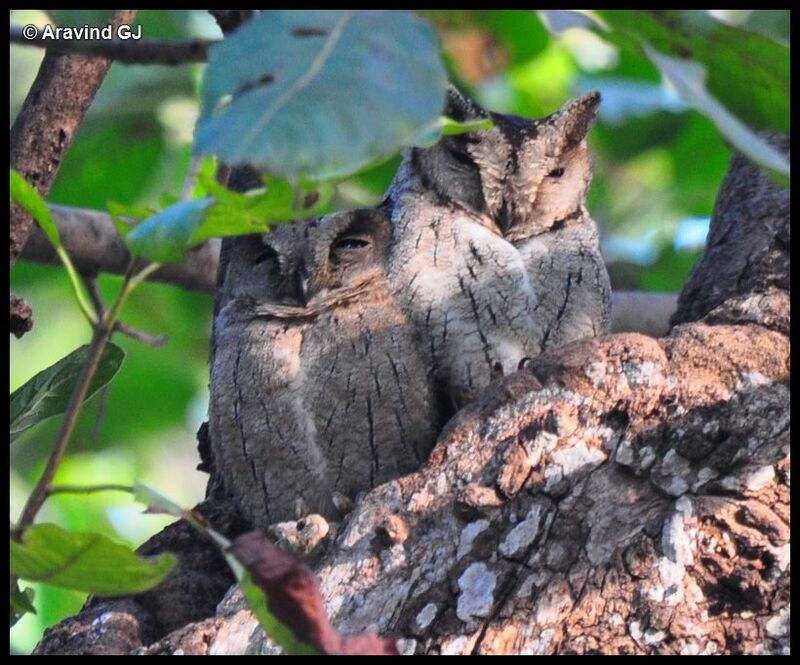 Good Job Arvind-great pictures. you are a true nature lover keep it up. would like to see more from you. Would like to know bout Kenneth Anderson from you as you are also from Bengalaru. Some say that his books are just fiction and some say they are true, I am confused I just read 2 of his books 1).9ME&aR 2).tLoSivanipalli. I like them very much. I want to read all of his books but couldnt find them online (free). Nice Place and great Pictures! Nice post with nice collection of photos. Pench is one of the popular national park in Madhya Pradesh. It is famous for Tiger Sighting. If you are planning to visit a pench national park in this vacation then first get proper information about How to reach Pench National Park . Thanks for sharing this very good information about Pench national park. I love to visit tiger reserve frequently. 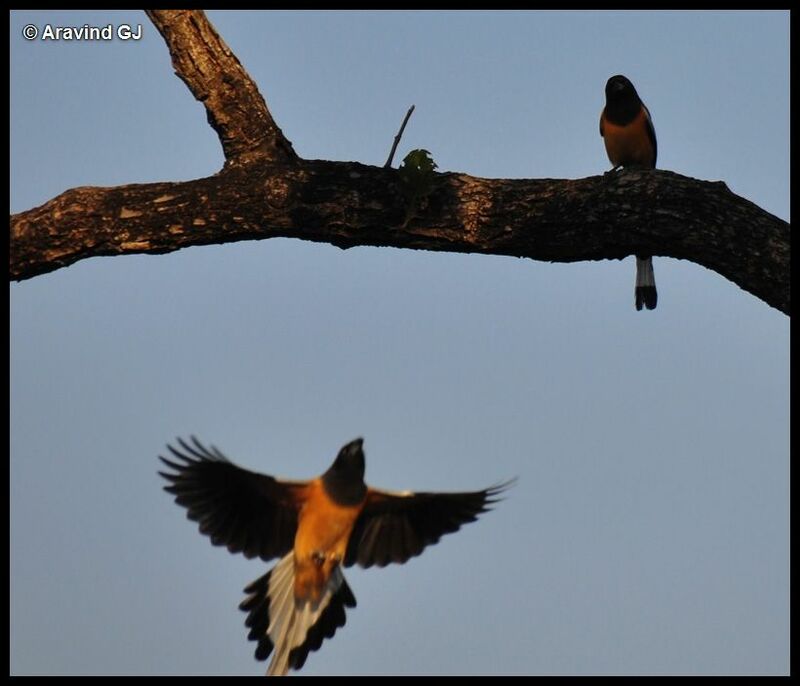 I have recently visit the tadoba national park in MS tadoba. This famous for tiger sighting. I have booked best resort in tadoba they have given all luxury facilty including meal, safari booking etc. you can check tadoba national park packeges online and book tadoba national park resorts online. enjoy the wildlife in tadoba.